SAN DIEGO—Aghast at what apparently passes for parental supervision these days, theatergoing sources reported Wednesday that, oh, Jesus Christ, someone actually brought their kid to this thing. “Great. Now there’s some…some child making all this noise and running around, and I have no idea when or even if I’m supposed to be singing along,” said audience member Ted Bradshaw, cursing the luck that had him pay $79 for a ticket only to have an excitable toddler seated directly in front of him. 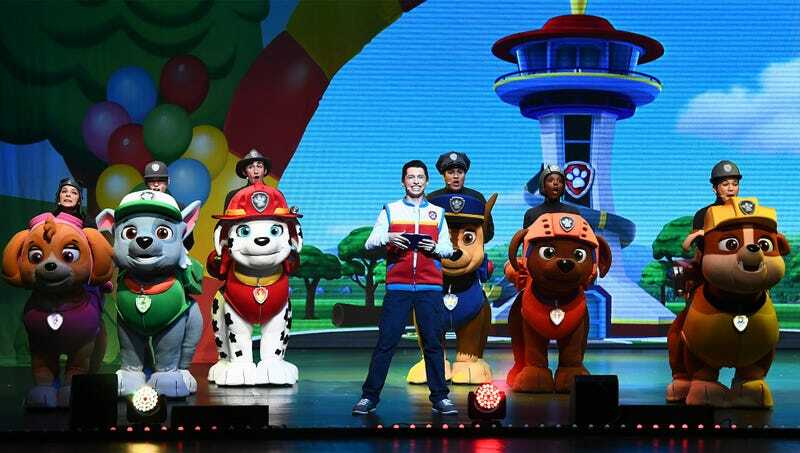 “Some of this material isn’t really appropriate for kids either, like when the pups must rescue Cap’n Turbot from a dark cave all by themselves. How is that a good lesson to be promoting?” Bradshaw then chugged the rest of his apple juice and resolved to make the best of it.